Seems that I have been slacking in the blogging department. Besides the constant snow and breaking my glasses, I have nothing new to blog about. It's been a slow couple of weeks. Need to get to a Michael's or an AC Moore and get some more beads for my necklace project. Yep, that's still a work in progress. It will probably take another year to finish it. Damn my lack of funds. 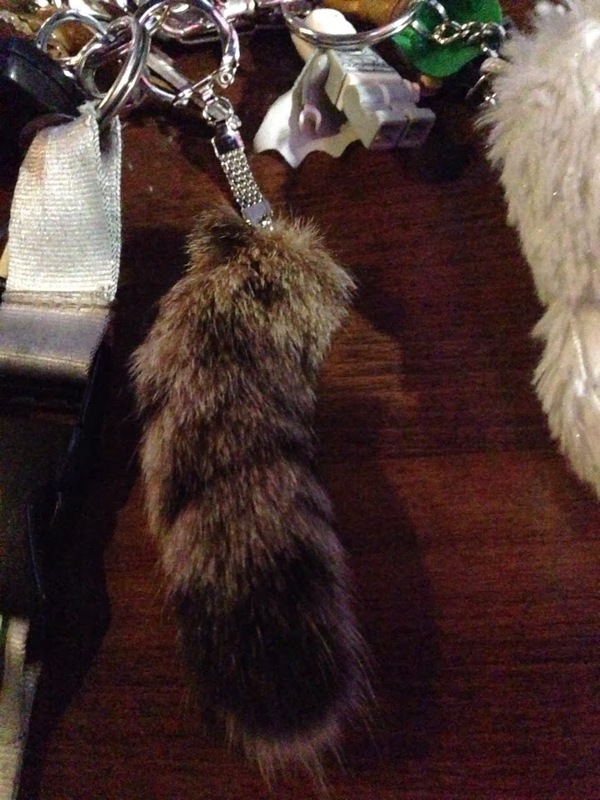 Take a look at this furry little key chain accessory. It's a bobcat tail that was purchased by Hyena_Queen, one of my group-mates. She got it from an oddities store in L.A. called Necromance. It kind of looks like a tiny raccoon tail. Even though I'm not much for collecting dead animal parts, I thought this tail was cute. It could probably also be used as an hair accessory or worn as an earring. Either way, it's still a cute purchase.